This is my eighteenth growth report on OliverKenyon.com. I use these reports to share my progress updates from both a business and a personal point of view. You can view my previous reports here. Do you know what, this was possibly the first December in the 4 years I’ve been working online full-time that I wasn’t a big ball of stress! I think that’s down to the fact that I have the right processes and people in place this year and have streamlined my daily operations thanks to my list method. Also, I think due to my little health scare in November I purposely didn’t take on too much this past month and tried to “relax” a little, if that’s even possible in this line of work….. 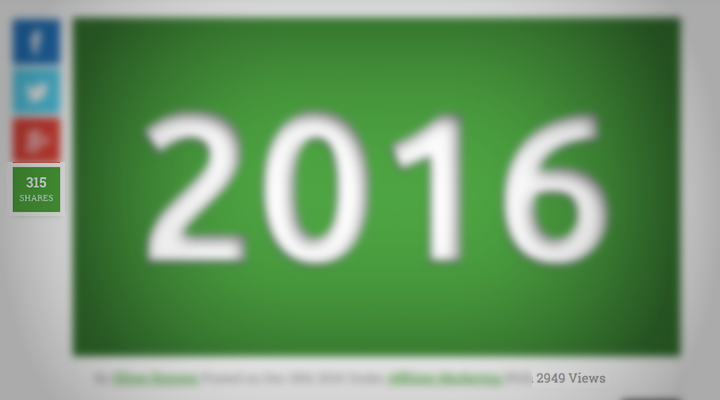 However, saying that, December was still our busiest month ever as far as revenue is concerned on AffiliateFix.com. That’s right. Even in the busiest month of the year when everyone is saving their pennies to spend on the holidays, we generated the highest amount of revenue in the history of AffiliateFix. This includes closing two long-term advertising deals with some incredibly large and exciting companies, which led to us grossing our biggest ad package incomes ever. December was also a very important month for Project P as we scaled up the team to add two more full-time members of staff and pushed full steam ahead with production. 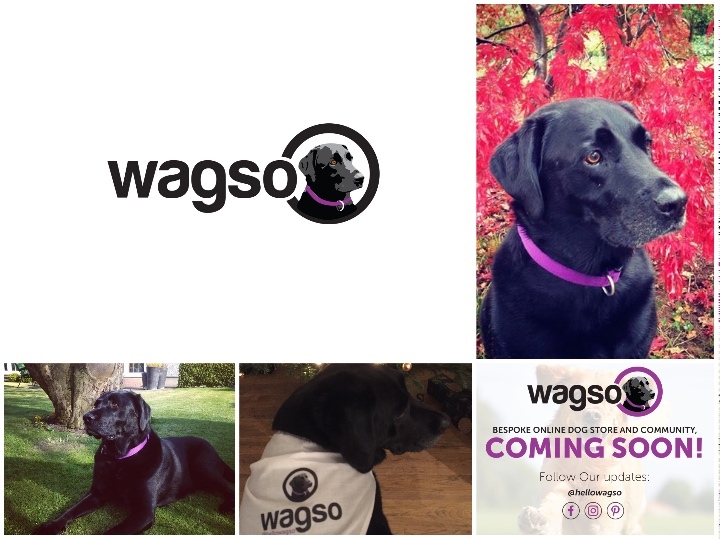 On a side note, I also launched a dog brand in the form of wagso.com for my better half Josie as a Christmas surprise…………okay, so December obviously wasn’t that quiet then. As I mentioned above, December was the biggest financial month ever for affilinc Ltd. since its incorporation almost 3 years ago. I’ll break down why it was such a successful month and year as a whole for AffiliateFix below, but first let’s check in with affkit and see how it’s progressing. So as you may or may not know, we’ve recently purchased the incredible software affkit.com. Since the purchase, we’ve rebranded and remapped the entire business and have closed the doors to new customers for the time being. However, we’re almost ready to reopen the doors to the new software as we gear up for our mammoth relaunch and JV launch alongside William Souza. William and I have been busy alongside the team, creating everything we need to make this a massive launch and to reach the 6-7 figure mark from day one. If you’re reading this and are in the JV/product launch space, you can now check out our JV page by clicking here. We’ve finally set the date on February the 2nd for reopening the doors to new customers. We have LOTS of exciting new features, upgrades and case studies ready to share. We’re also giving away a MASSIVE $20,000 in prizes to our top affiliates, so be sure to check out our JV page now! Okay, so let’s talk about revenue, as I’m sure you’re all eager to know how we achieved our biggest month in earnings to date. In December, we fully introduced our NEW Verified Membership Packages. We’ve got two upgrades available to Normal Users and Company Users. In December, we focused on the Company User Verified Account Upgrades and worked alongside our development team to enhance the advantages companies get from upgrading. The main and most obvious change/improvement was that of our “Featured Resource Widget”, or now known as “Verified Resource Widgets”. As you can see, every company that upgrades their resource listing to a verified account will now appear in rotation across several widgets on the site, therefore giving them far more exposure and presence on the platform. These packages have already almost sold out and have received some incredible feedback so this definitely helped add to that record-breaking month. Aside from this, we also managed to close two of our largest ever advertising packages in December with two incredible companies that will be receiving some great exposure over the next 6 months. This definitely closed the year in style and it was an amazing achievement to see the amount of growth and traffic the site has achieved in the past year, including over 3 million visits! 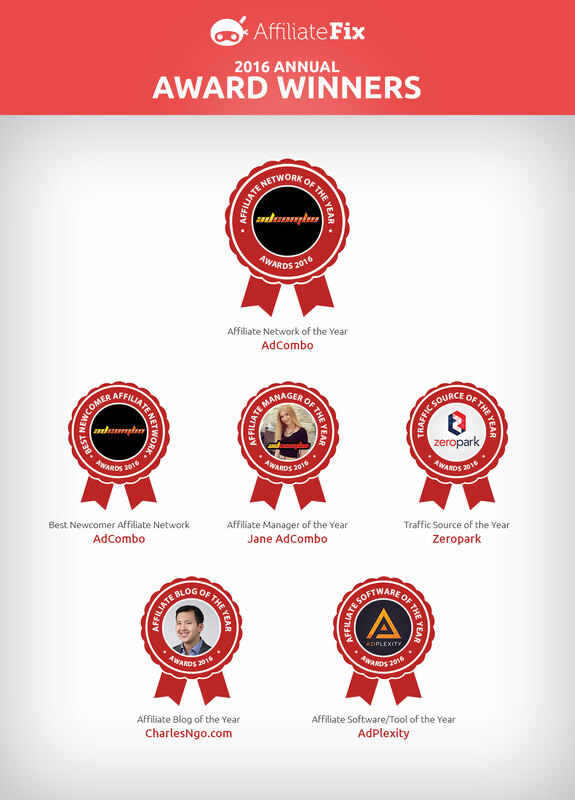 Lastly, I couldn’t end this month’s wrap-up on AffiliateFix without mentioning our annual awards. Yes, you heard that right. Dogs! December was the month of the dogs here at the LPG offices, and no, I haven’t gone barking mad….get it!?! If anyone asked me what’s hot in affiliate marketing right now, I’d have to say dog and pet offers. We saw a HUGE increase in people wanting dog treatments, pills, walking, etc. funnels in the month of December, and alongside my own side project wagso.com, it was a month for man’s best friend. We also focused heavily on Project P and expanding our team to another two full-time designers. We 100% WILL be announcing Project P and revealing ALL this month! Follow me on Instagram to hear the news first! Again, I let you all down for failing to post more than twice, but I did deliver my most viewed post ever, so am I forgiven? That’s right, my post about 2016’s Winners in Affiliate Marketing was viewed over 2,000 times in 12 hours and shared 300+ times. To be honest, it gave me the buzz back for writing this blog and has encouraged me to pursue it in 2017. I already have my 3 other posts for this coming month mapped out and one could beat the above post for views. It will feature a case study as to how ANYONE can quit their job and earn from affiliate marketing in 2017! Something else I’m doing in 2017 is putting much more focus on Instagram. I’ve tested all the social platforms, and I’ll be honest, it’s the one I like the best and am best at. So be sure to follow me now as I’ll be posting lots of insights and post updates alongside my entrepreneurial journey! I’m also going to get started on refreshing my blog/brand this month so expect to see a new site, etc. very soon. If you have any suggestions or improvements, please comment below. In other news, I’m super happy to have signed my first two long-term consultancy agreements in December for two of the biggest affiliate marketing companies around right now. Due to confidentiality, I can’t discuss details but I guess it’s testament to how far I’ve come in the past few years and I can’t wait to get my teeth sunk into the companies and help them grow. I was also honoured to feature on iamAttila’s list of top 7 affiliate blogs to follow in 2017! Firstly, I want to give a shoutout to all the companies who kindly sent me a holiday gift this year. 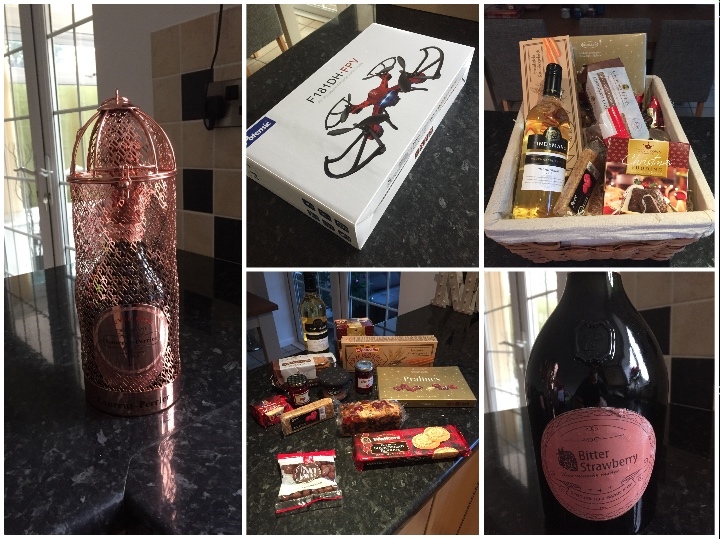 and to the mysterious company that sent me a beautiful hamper, thank you again! Speaking of Christmas, I enjoyed another great Christmas with all my family. 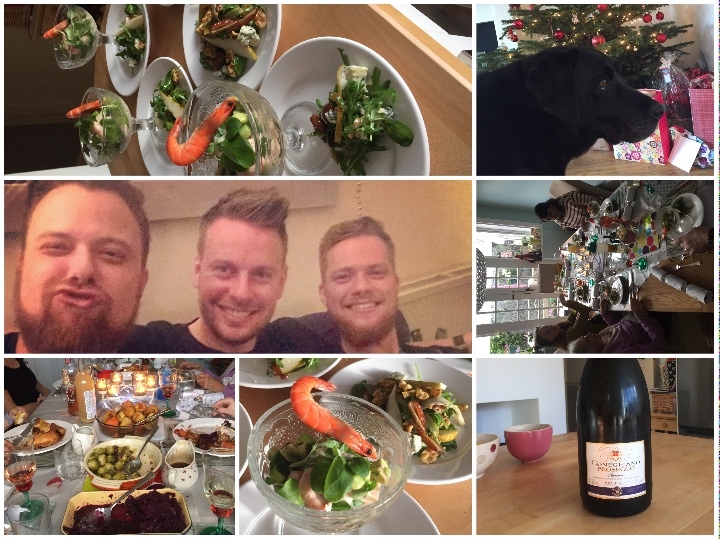 The morning was spent cooking (and drinking) as I donned the chef whites once more to cook up a Christmas feast. In the evening, it was back to our new home to enjoy another Christmas with Josie’s family. I was so lucky and received some incredible presents this year, but for me, the best part of Christmas is giving the presents. This year, I decided to give Josie something that would be more than just a present and maybe something that will change her life. I secretly built her a dog brand called wagso.com. Again, I used Hatchwise for the logo which you can view my guide on How to Create the Perfect Logo for Your Brand here. I managed to order some stationery from spreadshirt just in time for Christmas, so she had something to open with the logo on. It was amazing to see her face light up and she even had a tear, which was nice. Josie has taken this very seriously and we’re busy plotting our strategy for the brand this year. Watch this space! The month started with our annual trip to Oakhampton Manor house for a weekend of sports and relaxing and then finished in style in a beautiful house in Illfracombe with some of our closest friends celebrating the New Year. This week is now all about setting goals and tasks ahead of 2017 and reflecting on what we need to improve on from 2016. Stay tuned for a busy month on my blog and the Project P announcement.